Pi Recordings artist, George Lewis, is one of twelve artists of 2018 elected into the American Academy of Arts and Letters. This honor society recognizes the country’s leading architects, artists, composers, and writers. Congratulations to George! Read the announcement HERE. Jonathan Finlayson’s residency at The Stone at The New Schools begins this Tuesday (February 27th) and continues through Saturday (March 3rd). His music, described as being “packed with melody, depth, and ideas worth stealing,” is not to be missed. Finlayson will be in the studio this spring to work on his upcoming project – stay tuned! 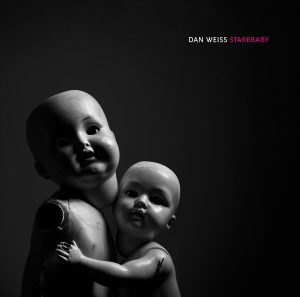 Dan Weiss’ Starebaby release date is April 6th. We’re incredibly excited to finally share this music! Please join us for the release show at Nublu (151 Ave. C) on April 1st at 9PM. Watch a teaser clip for it below.